Audience Research: What's happening to this blog? Hello everyone. As you may have noticed I have not made any new posts to this blog since May. Why? Well, on 7th June we launched the Australian Museum's new website. Since then, I have been beavering away uploading content to my revamped Audience Research Unit website. That site includes two blogs. The Audience Research Blog continues the types of posts I have been doing here, primarily answering queries I get via email, reporting on conferences/workshops etc, posting interesting links, discussing Web 2.0 issues (my passion!) and generally pontificating as I do! The Visitor Voices Blog highlights the voice of the visitor through uploading comments received about our various public programs - uncensored! There will be RSS feeds attached to those blogs very soon, so please visit, join our site and start commenting! What is the audience research blog? Hi everyone. I'm conducting a blogging experiment - will this blog become a way for those of us who work in museum evaluation and audience research to share our work with the world, rather than via email to our contacts as happens currently? My challenge to you, my colleagues, is to use this blog to post questions, answer queries and share experiences. I look forward to this adventure with a mixed sense of excitement and anxiety! 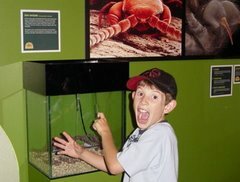 Disclaimer: The views expressed on this blog are those of individual post authors and are not the official views of the Australian Museum, who accepts no liability for content posted on this site. 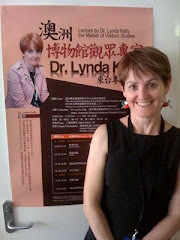 This blog is moderated by Lynda Kelly with input from Mel Broe an intern from the University of Sydney.